Conservation best practices are presented in international documents called charters, which are written by heritage professionals. Conservation work is controlled by legislation, which is enacted by governments. Adherence to charters and other conservation doctrine is usually voluntary, whereas statutes and regulations must be followed. Together, charters and legislation provide the basis for setting policies, standards and guidelines, and are essential to achieving excellence in heritage conservation (historic preservation). 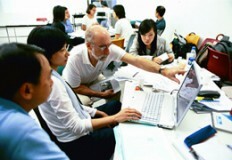 This course introduces the guiding principles and legal framework for heritage conservation, as established in international charters and regional legislation, and examines their application in Hong Kong, Macau, Mainland China, Southeast Asia, North America, and Europe. The course is required for students in the MSc (Conservation) program and is available to part-time PDip and MSc students. 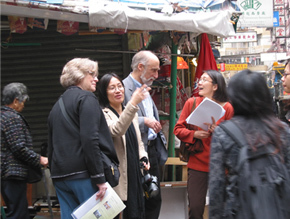 For more information about Hong Kong University’s Architectural Conservation Program and enrollment procedures, and for a course timetable, go to the ACP web site.